Back in July 2011, I joined the third Takbo.ph Runfest. 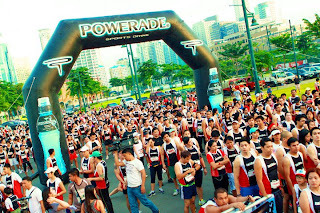 The run was the celebration of anniversary of the premiere run site of the Philippines, takbo.ph. 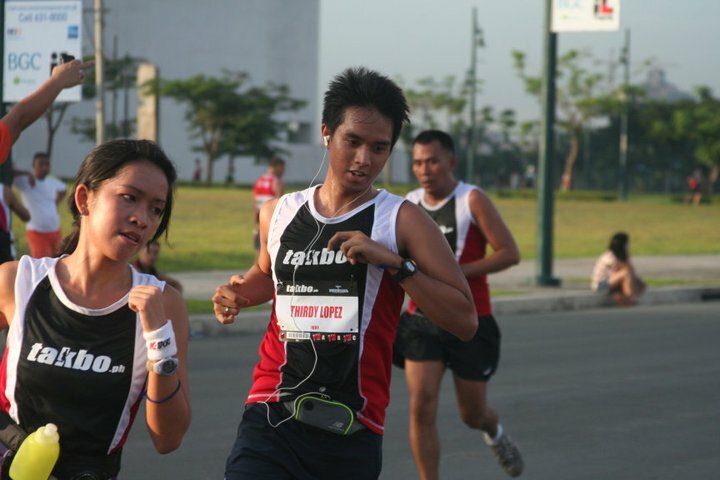 Being new in the running community, the takbo.ph runfest experience was refreshing since there are people who had formed and flourished friendships through the passion of running. The run featured marshals who cheered you on and hydration of powerade or water. This was Dom and Gee Ar's first run so I decided to pace with them but Dom turned out to be really fast so I tried to catch him while Gee Ar left us by running slower. The run didn't have a lot of sponsors but this is the first time I earned my first finisher's medal and it was such a rush to get a reward from finishing a 5k course. This run had a lot of mishaps like some runners being led to the wrong route and race results being erased but the overall experience was still great since it was a celebration of running and friendships formed due to running.